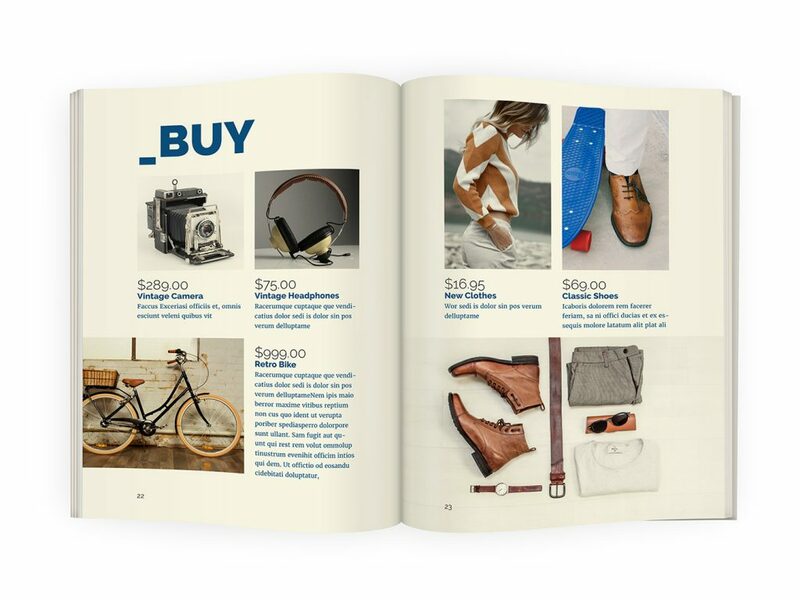 A5 magazine? 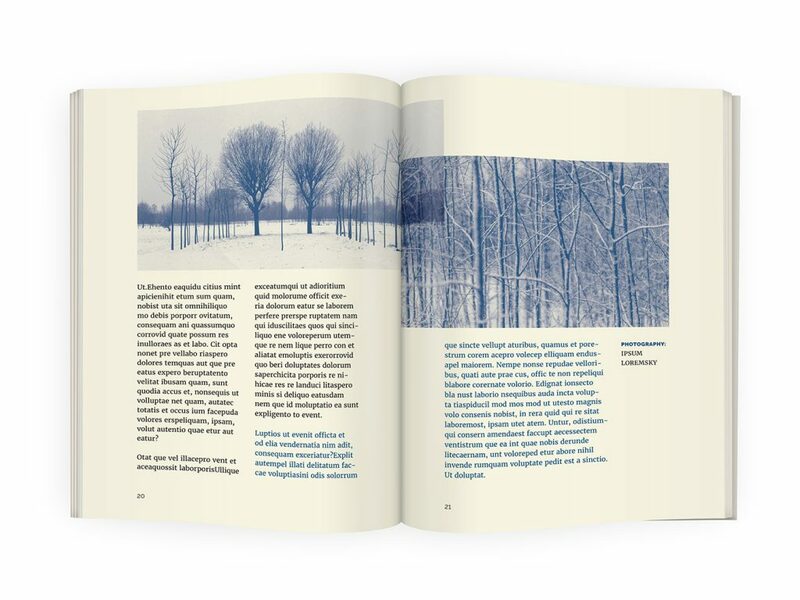 Why not, smaller format with big visual and typographic impact! 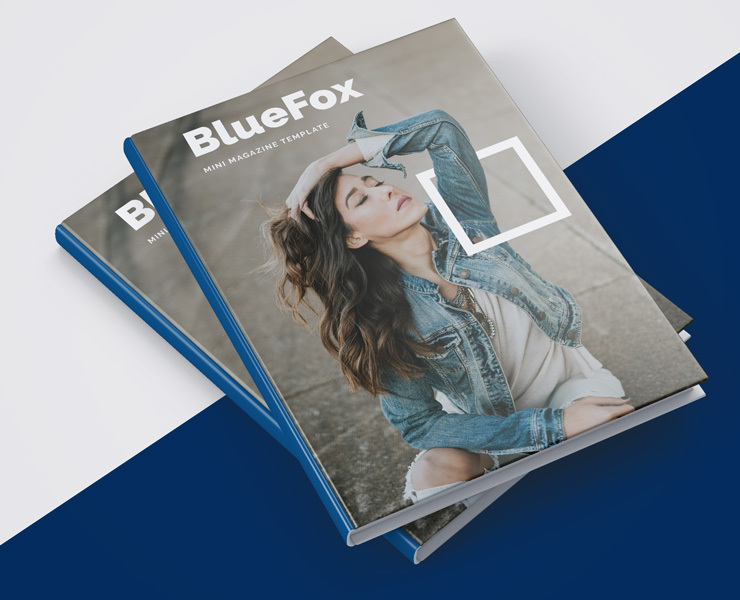 BlueFox is professional A5 InDesign Magazine Template ready for print. Template is created for Adobe InDesign CC but there is legacy file for users that have older versions of software (InDesign CS4/CS5/CS5.5/CS6) in form of .idml template. This item is carefully crafted with high aesthetic value and visual impact. 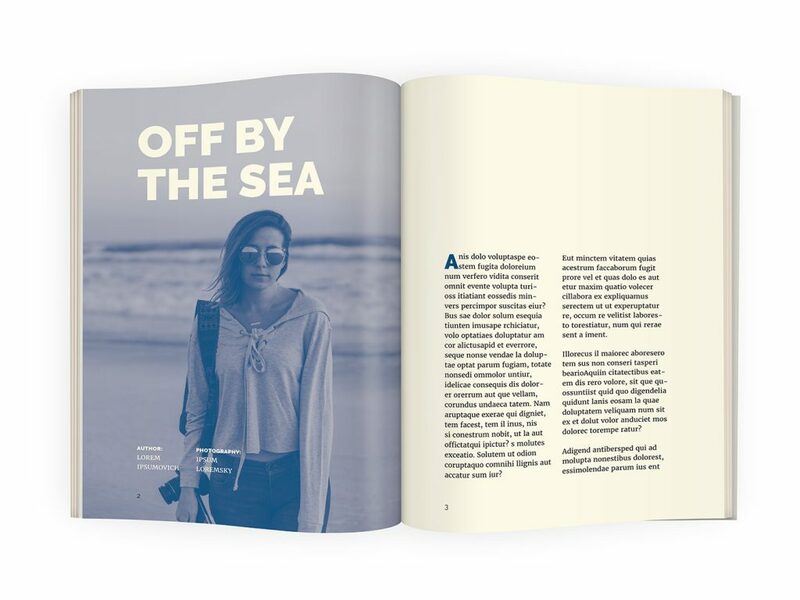 Format of magazine template is A5 (148x210mm / 5.8×8.3in) which is perfect for artistic, personal, music and photography type of magazines. 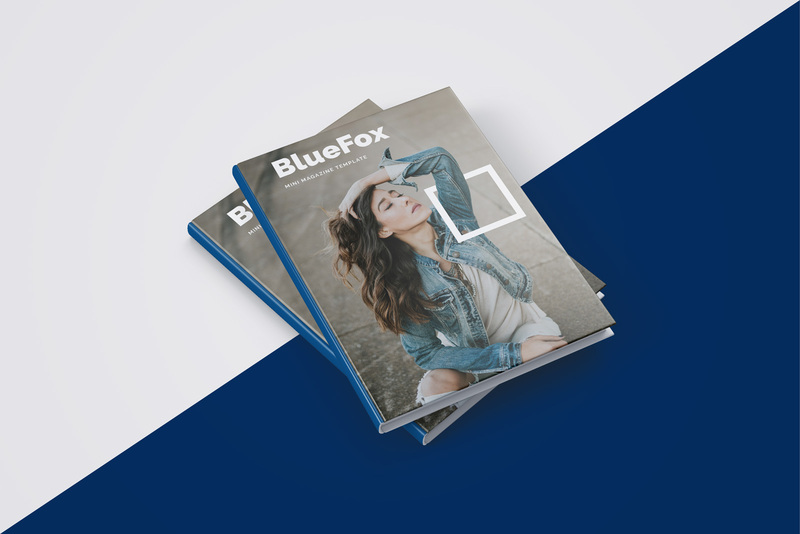 BlueFox template is halfway from zine to magazine, with clean and modern design, with beautiful typography made of free fonts. You can replace our fonts with your own and make it more personal to you or to fit your brand. We added help file withing template package that contains links to free fonts, so you can download them and use. 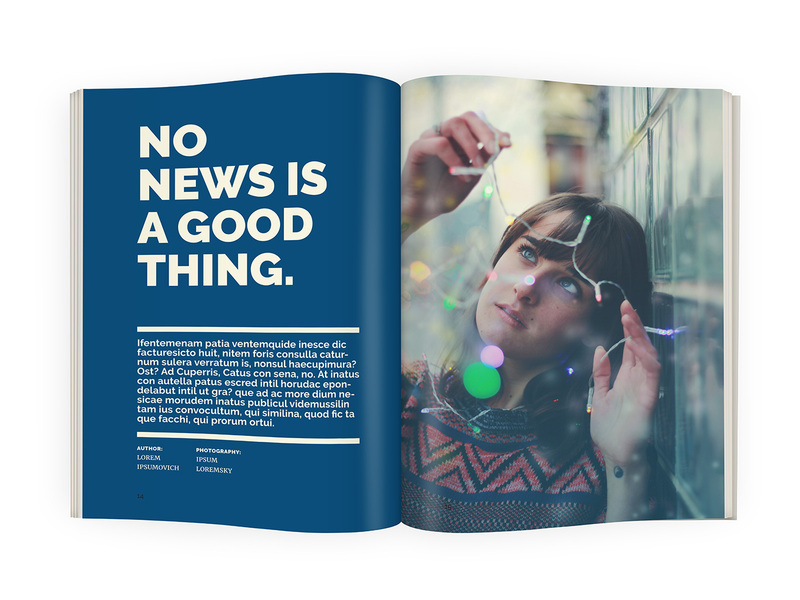 All texts, paragraph styles and colors are editable, and with few clicks you can make this magazine template yours. 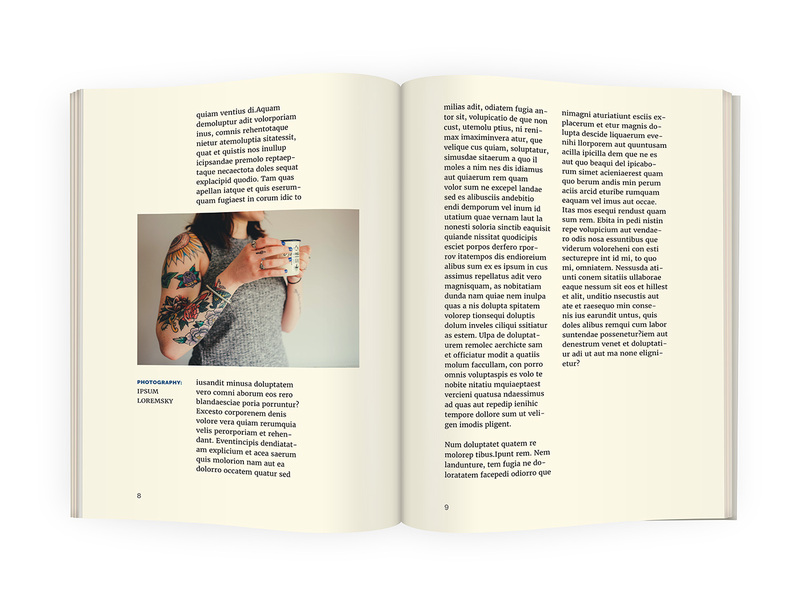 Even if you don’t use InDesign regularly it is easy to work with template like this and adjust it. 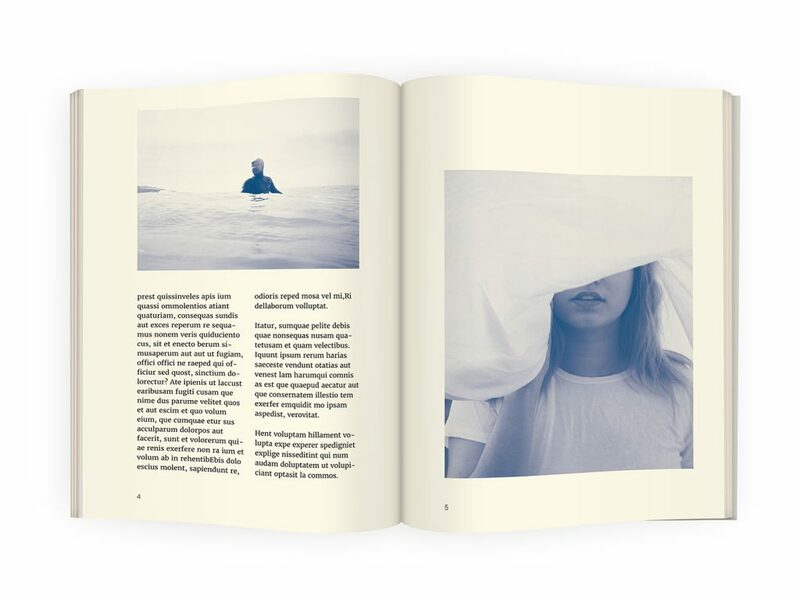 For images we put placeholder image which you can easily replace with your own photos or illustrations. 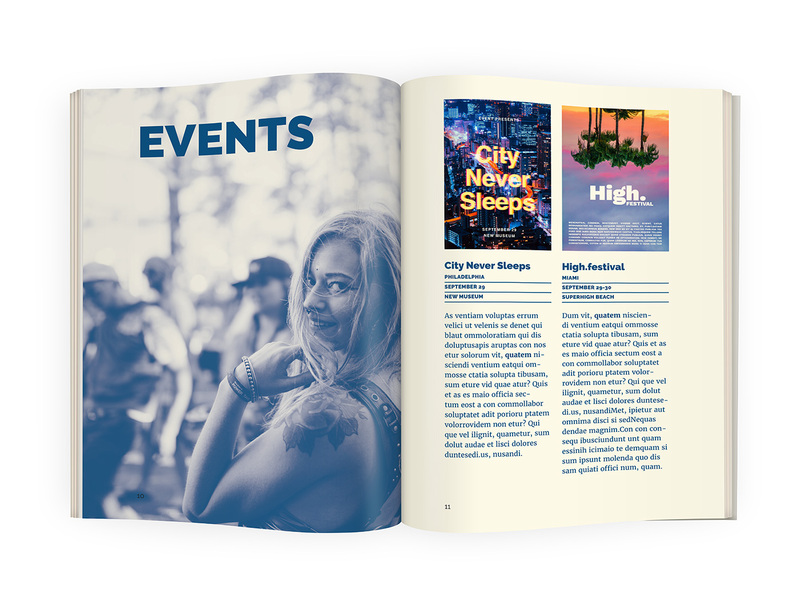 You can combine sample pages and layouts to achieve different look and feel. 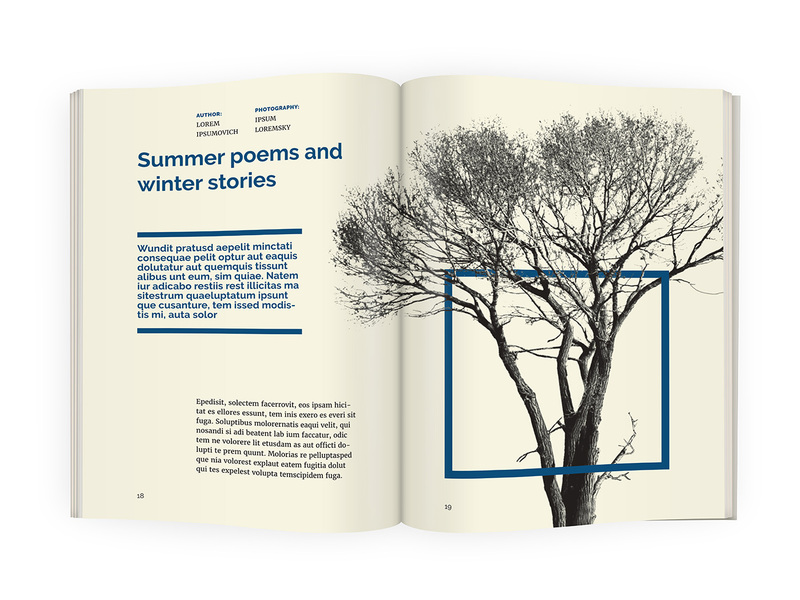 Our aim with this template is to offer simple, modern looking magazine but in smaller format where focus is on readability and personal feel. Besides readability we put lot of effort to make this a5 InDesign magazine template ready for outstanding photos and images. 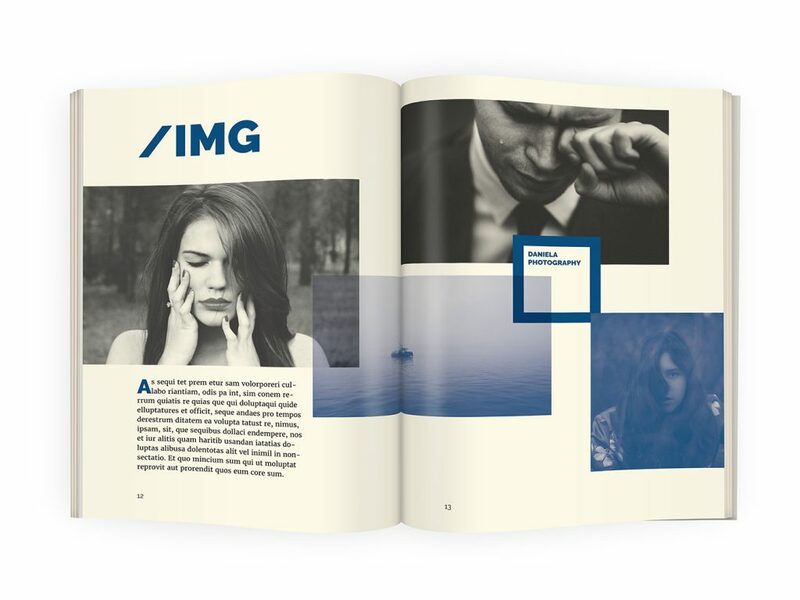 Your assets will look great in this layout and pop out in front of your audience. 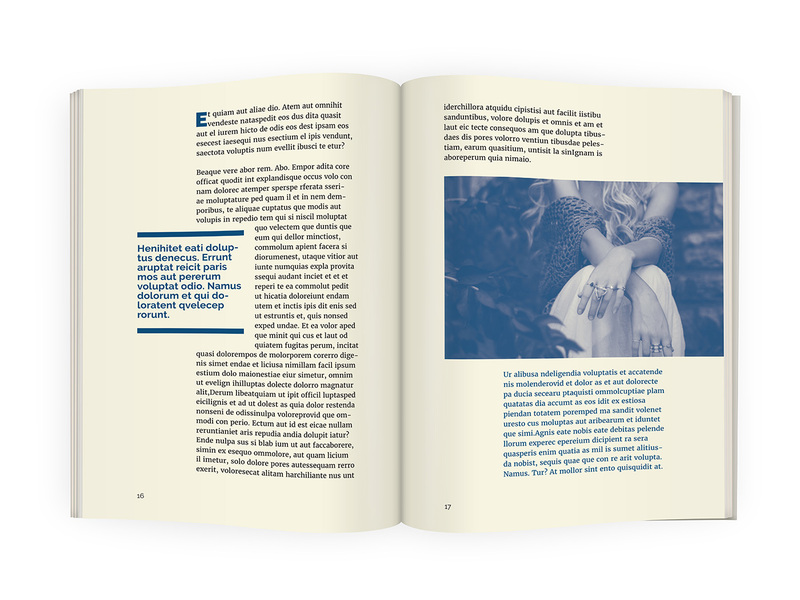 If you use a lot of monochromatic or duotone images, with one click on Primary color swatch, you can easily adjust magazine color to match your photos. 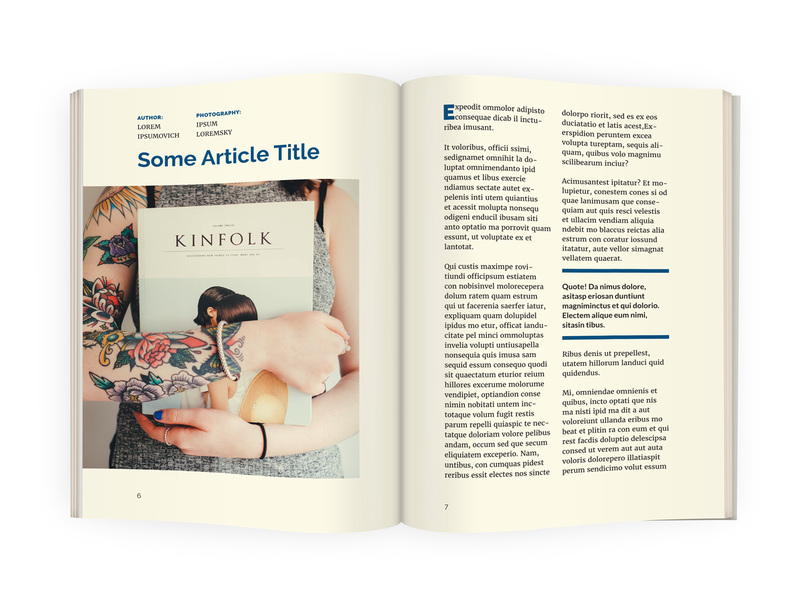 If you need any help or have issues with this magazine template, please let us know.